Want a copy signed by the author? Click this button for more information. If you’d like to download an e-book copy right now, click this button (you’ll be directed to the Authorhouse site). How else can you get hold of the book? 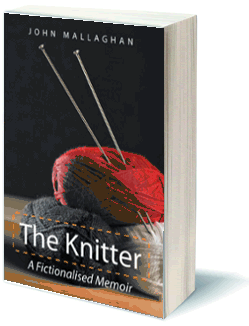 You can order The Knitter at your local library by quoting the ISBN number – 9781438964379 and/or the name of the book and publisher (Authorhouse). The Knitter can also be purchased from Waterstones or any other bookstore, again by quoting the information above. If you prefer to order over the phone, call Authorhouse on 0800 1974150 in the UK, (888) 280-7715 in the US.